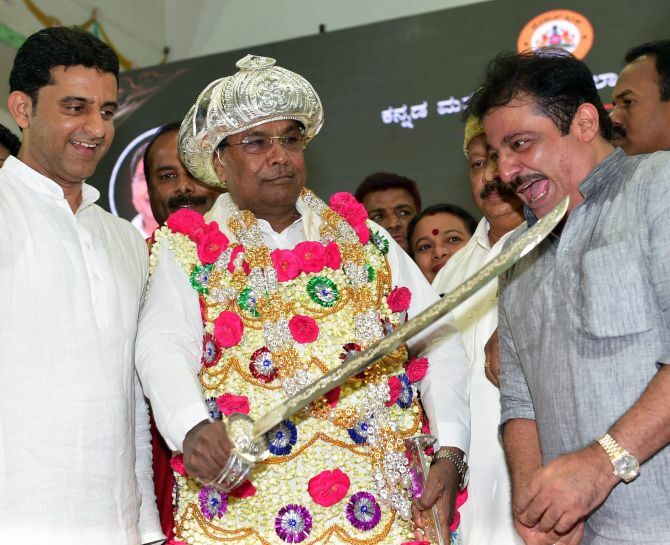 Bringing the state under a thick security blanket, Tipu Jayanti celebrations were held amid protests across Karnataka on Friday to mark the birth anniversary of the controversial 18th-century ruler of the erstwhile Mysore kingdom, Tipu Sultan. With a sharply divided opinion over Tipu's legacy and rising political temperature, the opposition Bharatiya Janata Party, several Hindu organisations and individuals opposed the Karnataka government celebrating Tipu Jayanti through statewide protests. As over 54,000 police personnel and platoons of the Karnataka State Reserve Police, bolstered by the Rapid Action Force, kept a hawk-eyed vigil, functions were held at the district headquarters, where in-charge ministers and others hailed the legacy of Tipu. Kodagu district observed a shutdown in response to a bandh called by the BJP and certain Hindutva outfits. Prohibitory orders are in place in the district till Saturday morning. He was killed in May, 1799 while defending his fort at Srirangapatna against the British forces. The state security personnel were bolstered by the deployment of 15 platoons of the RAF across the state. Recently, Union minister Anantkumar Hegde had kicked up a row after he requested the Karnataka government not to include his name in the list of invitees for the Tipu Jayanti event.